After a hectic weekend in New York City, we headed to New Jersey to Crystal Springs Resort in Hamburg, New Jersey. In just over an hour, we were transported to a lush, green, mountainous area in northern New Jersey. Driving up to the Grand Cascades Lodge of Crystal Springs Resort, I couldn’t help but be reminded of the ski lodges in Colorado. The lodge was laid out well, with the covered pool in the middle, and a terrace with fireplaces, lounging areas and another area for games, including table tennis, foosball and pool. 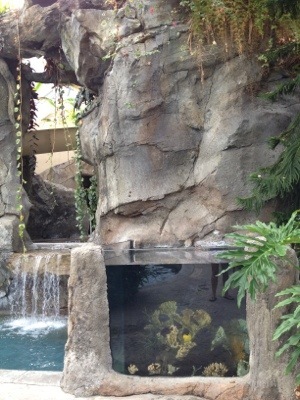 The kids could not get enough of the Biosphere pool. 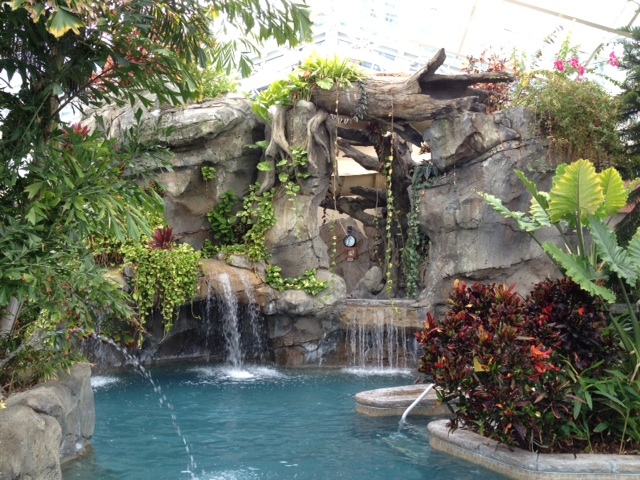 In addition to a beautifully designed pool, the area had a hidden waterslide, hot tub and a fish tank that you could swim up to and view partially under water – almost swimming with the fishes! The second day, I finally convinced them to check out the outdoor pool – and what another great discovery! The two-tiered pool area had an infinity pool on the lower level and an upper pool with a sprayer, swirling whirlpool circle and a water slide. Just around the corner, a small zero-entry toddler pool had a spray of water and was the perfect size for little ones. Besides the pool, the kids loved the putting course right outside of the hotel. They also have a night glow golf activity for the kids. We had dinner one night at the Crystal Tavern. 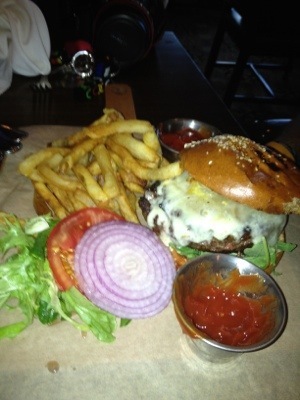 The Kobe beef burger was excellent. The tavern has a kids menu but the atmosphere was not really child-friendly. I was fortunate enough to have a massage at the Reflections Spa, which features a fire and ice theme. 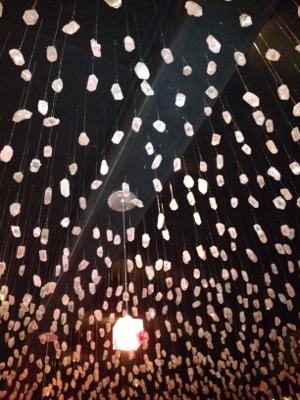 The ceiling area has more than 8,000 hanging quartz crystals and the walls are a deep red. Following the massage (and add on paraffin foot treatment needed after walking New York City), each guest experiences the hot salt foot soak. First, you rub your feet in a bed of fine salt, a texture similar to beach sand, and then you turn your chair around and immerse your feet into a hot water soak. Pure luxury! 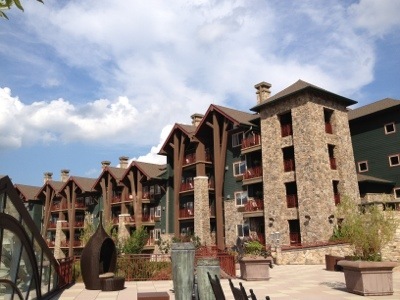 The resort felt a world away from New York yet was just a short drive. It’s a perfect location for a family getaway. 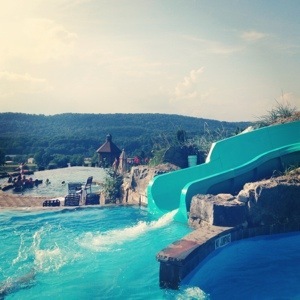 Oh, and we also went to Mountain Creek, Crystal Springs’ waterpark, but we’ll save that story for next time.